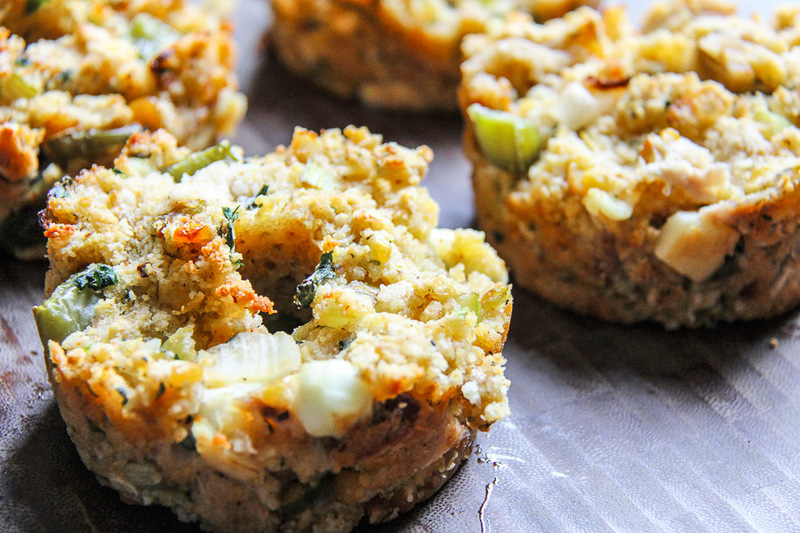 Let guests take their own mini cornbread dressing this Thanksgiving. 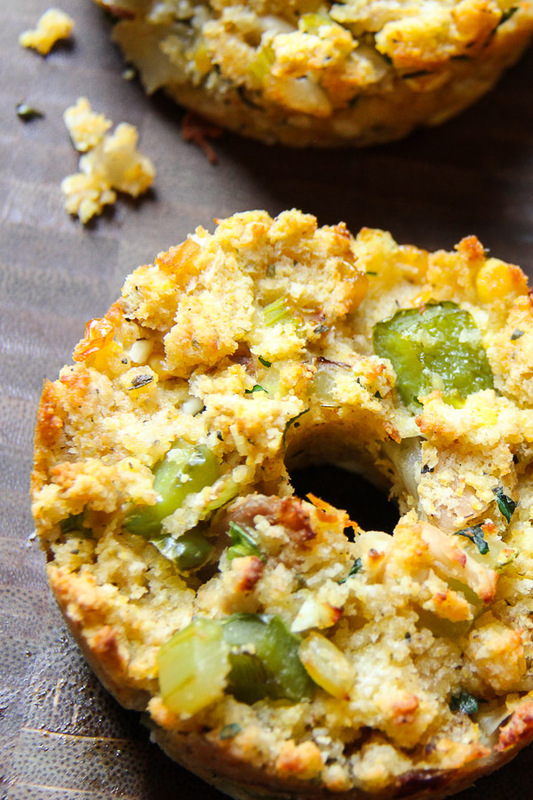 Our Louisiana cornbread dressing recipe has a hole perfect to fill with gravy! 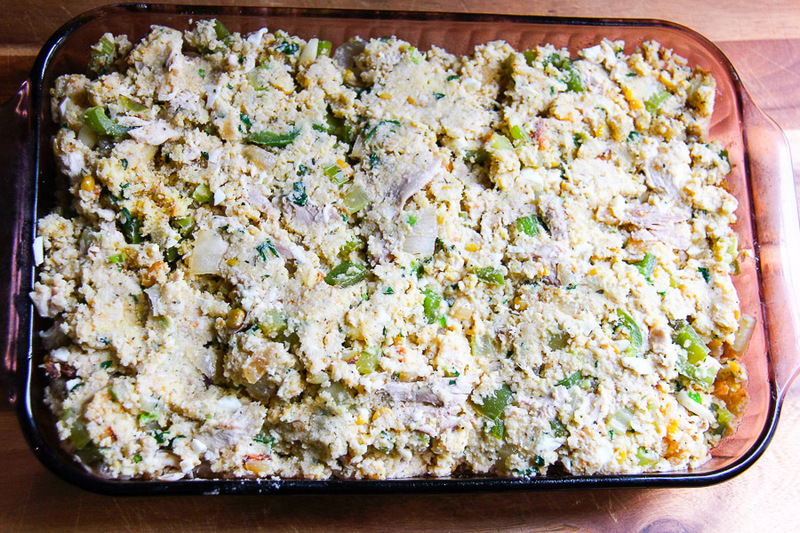 This Louisiana cornbread dressing has it all! Veggies, sweet cornbread, rotisserie chicken, & herbs all packed into an adorable little personal round of dressing heaven. I could eat just this dish alone for Thanksgiving and be happy but sharing is caring, or so I’m told. 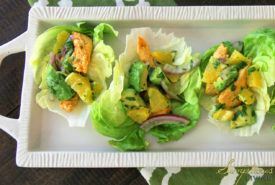 Mini cornbread dressings let everyone of your guests have one of their own. 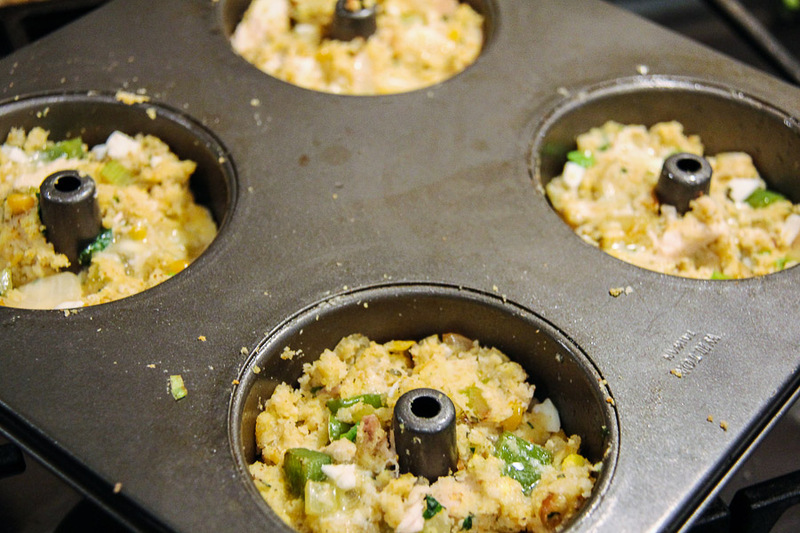 By putting the dressing into mini bundt pans or jumbo muffin tins, the dressing cooks quicker (freeing up your oven for whatever’s waiting in line for the coveted hot box) and its crazy adorable! Plus guests can take their own little mound and move on down the buffet line. I love the idea of filling the hole in the center with a dollop of cranberry sauce or gravy. In Louisiana, cornbread duck dressing is at every Thansgiving table. Moist and full of flavor it has it all packed into a pan of heaven. Not all of us have a freezer full of ducks, so my go to is a rotisserie chicken that you can pull the meat off easily and move on with making the recipe. 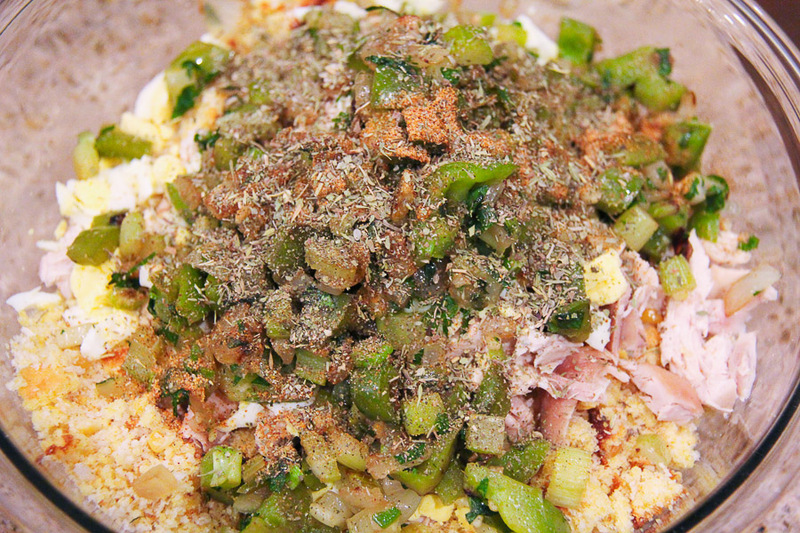 The trinity (celery, onions, and bell peppers) is an absolute must here! 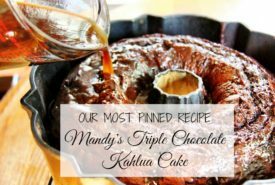 It adds so much flavor and because none of the veggies are cooked prior to baking, they still retain their shape and texture. 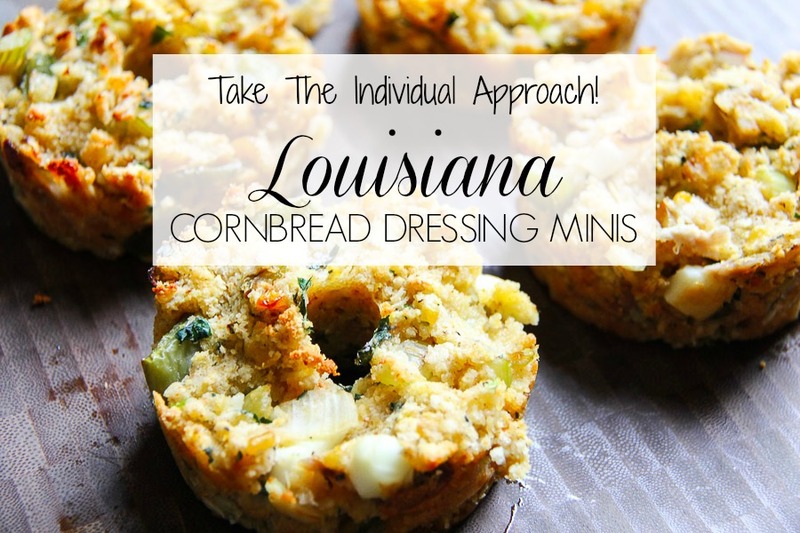 STEPS FOR MINI CORNBREAD DRESSING ARE EASY! Veggies, sweet cornbread, rotisserie chicken, & herbs all packed into an adorable little personal round of dressing heaven. Spray 2 round cake pans or a 9x13 pan with nonstick spray. Pour into prepared pans and bake for 20 minutes or until brown and inserted tooth pick comes out clean. Spray a 2 quart casserole dish with nonstick spray. 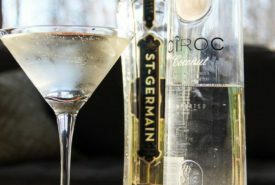 Mix using your hands until well combined. Pour into prepared pan and dot top with butter.